I was delighted to learn recently of the publication of Mysteries Unlocked: Essays in Honor of Douglas G. Greene, edited by Curtis Evans. It collects 24 original essays (and reprints two classics) in honor of the 70th birthday of mystery scholar and publisher Doug Greene. A retired professor of history at Old Dominion University, Doug is a great scholar of the genre and the founder and publisher of Crippen & Landru. So far, I have only dipped into this fascinating festschrift, but I have already enjoyed reading about Doug’s passion for John Dickson Carr (whose biography he wrote), the numerous volumes he has edited, and the many friends and colleagues he has assisted with his incredible knowledge of the field. In particular, Doug hasbeen a tireless and effective advocate for the mystery short story; Crippen & Landru specializes in story collections, and its Lost Classics series has returned many deserving but forgotten authors to print. Other contributors include John Curran, Steve Steinbock, Peter Lovesy, and more. If you love Golden Age detective fiction, this is a book for you. If you enjoy reading essays by people writing about literature they love, this is a book for you. Mysteries Unlocked was a brilliant way to say Happy Birthday to a friend. A book which couldn’t’ve happened to a nicer fellow! I remember seeing a copy of the Alfred Hitchcock Mystery Magazine in a railway book stall. I vaguely remember that this magazine was published in India in the late 80s and then abruptly stopped. 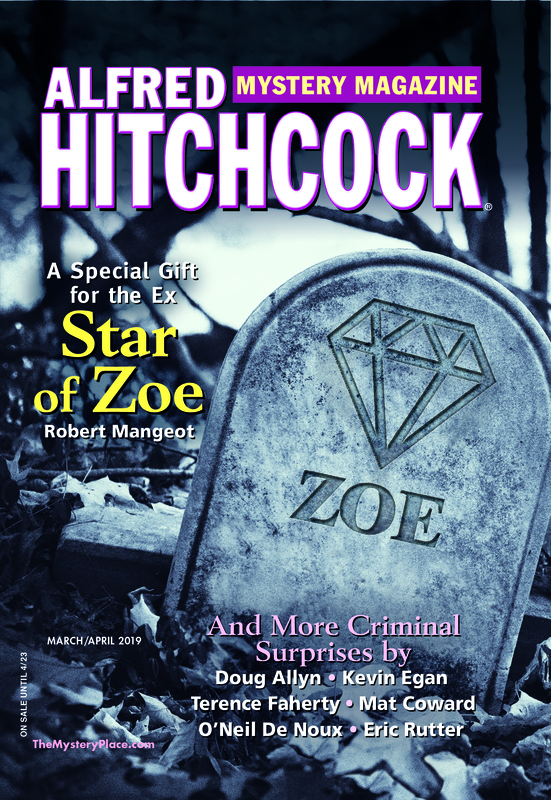 Despite trawling the Net and writing (e-mail) to the Alfred Hitchcock Mystery Magazine on this particular issue , I have got no answers. Can you please clear the air? Sorry for the inconvenience caused .